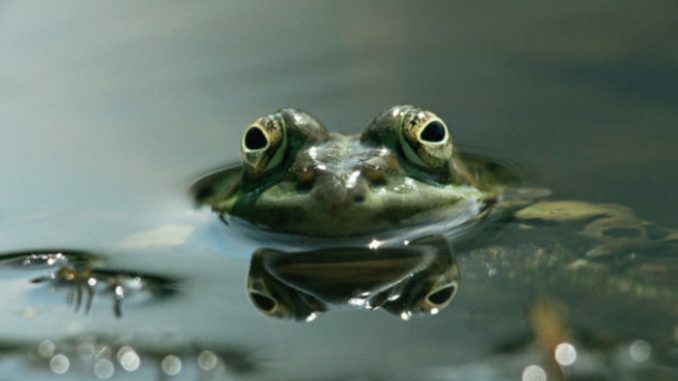 The ‘boiling frog’ story is used to describe a frog that is slowly being boiled. The assertion is that if a frog is placed in boiling water, it will jump out on feeling the impact of the heat. On the other hand, if the same frog was placed in cold water in a kettle and heated gradually, it will not be able to perceive the danger and will be cooked to death. The story is widely used as a metaphor to illustrate the inability of the business and people to react to significant changes that happen gradually. The metaphor attempts to warn people to be aware and respond to gradual changes that take place. If these small changes are left unresponded to they will lead to huge losses to the business in future. The metaphor tells about the common behavior of human to ignore small things which eventually results in massive damages in future, ( Bolchover, March 26, 2005). Strategic management entails formulation and implementation of business strategic plans. It entails analysis of current business status and external analysis from which business strategies are formulated to guide the company to achieve its goals and objectives. Objectives are broken down into actions plans which must be attained within a specified period. Action plans include little things which do not have substantial impacts on the company. Some of these action plans are sometimes ignored by the company during implementation; this can be compared to boiling the frog gradually. They accumulate over time and lead to huge business loss in the long term. The main actions plans that have abrupt impact on the business performance if they are not implemented can be compared to placing a frog in boiling water. An example of action plan that have led to eventual failures of business is the issue of culture which is mostly overlooked. There are many things which business consider little to be ignored. Culture is ignored by several MNCs and has impacted negatively on their business performances. Doing business in international market requires the company to understand and integrate different cultures in business policies. What works well in one country could not work well in a different cultural background. Managers of MNCs should therefore raise the awareness of cultural values within their companies to ensure their inclusion in strategic plan and policies. Culture is very important in international business and they impact on MNEs business performances. Culture influences communication and affects managerial and organizational practices besides shaping values, assumptions and behaviors of individuals and organizations. MNEs have to deal with cultural diversity both in international business and within the organizations. There are five dimensions of culture; namely power distance which defines what people consider normal, this varies with different cultures and regions. Another cultural dimension is individualism and collectivism. Where in some societies, people prefer to act individually while in other culture they prefer acting in groups. Another dimension is femininity and masculinity which refers to acting gentle and tough by people from different societies. Uncertainty avoidance is a dimension which refers to societies that prefer structured situations over unstructured situations. The management approach should vary according to this cultural dimension. The final dimension is long term which refers to tradition minded culture rather than short values. These are essential in knowing customers, suppliers and distributors when conducting international business. MNEs should therefore, be adaptive rather than rigid to avoid culture shock and business success, (Hofstede, 2003). Example is the failure by Starburks to learn Chinese culture which led to what was termed as offending Chinese culture and affected their business performance in China. This led to mass protest from Chinese media and population leading to boycott of Starburks’ brands by the population. The resultant effect was closure of several chain stores in china and Asia. Training of sales team and managers on local culture is essential for the success of business in global environment, (Cron, 2004). Managers should therefore, understand cultural differences and appreciate these differences to come up with an acceptable attitude. Accordingly, it is necessary to know cultural language for easiness in communication. However, this should be coupled with studying and building social and business relationships without compromising company values. MNCs should respect the values of others to develop good working relationships. Strategic objectives should incorporate the issues of cultures for firms in global business, (Chick, 2007). There is need to change attitude of managers and their perception of cultural issues for the success of business. Company salespersons and customer care personnel need to be trained on differences in cultures of company customers, (Dolecheck & Dolecheck, 2007). There are differences in ethics across cultures even where cultural values are similar. It is ethical for business firms to respect and comply with cultural values, ethics and laws of countries of business operations. The people’s view of ethical issues varies from culture to another hence culture impacts on manager’s moral code, (Davis, Johnson, & Ohmer, 2008). Cultures shape communication and consumer behaviors of communities and have impact on business performances. Violating cultural values amounts to violation of consumer rights of some communities and this is unethical. Culture impacts on communication of people hence failure to learn and adopt appropriate language may lead to the use of abusive language in places of work and also in product advertisement which is unethical, (Jenkins, 2006). Employment terms and compensation are influenced by country laws and culture which firms need to incorporate in their policies to avoid culture conflicts. Demographic and religious values influence ethical norms and behavior of an individual and hence business conduct, (Serwinek, 2002). Ethical perception impacts on individual perception of business action. In culture prone to bribery, taking bribery is not perceived unethical and these have impacted on business performances. The concept of culture and its impacts on business can be used to demonstrate the phenomenon of ‘boiled frog’. The impact of culture on business is mostly gradual and its impacts on business may take time to manifest. Most firms have continued to underestimate cultural impacts on business performances, (Clark & Dawson, 2006).Understanding differences in culture between home and host country is crucial for the success and failure of firms in international trade. Most MNCs have failed because of not appreciating the importance of culture on their business performances. The gradual impact of cultural element on business continues to haunt many business firms both at home and also in international markets. Bolchover, D. (March 26, 2005). "What is 'boiling frog syndrome'?". The Times. London. Chick, G. (2007). Cultural Complexity: The Concept and Its Measurement. Cross-Cultural Research, 31(4), 275-307. Clark, J.W., & Dawson, L. E. (2006). Personal Religiousness and Ethical Judgments: An Empirical Analysis. Journal of Business Ethics, 15 (3), 359-372. Cron, W.L. (2004). Industrial Salesperson Development: A Career Stages Perspective. Journal of Marketing, 48, 41-52. Davis, M.A., Johnson, N, B & Ohmer, D. G. (2008). Issue-Contingent Effects on Ethical Decision Making: A Cross-Cultural Comparison. Journal of Business Ethics, 17, 373-389. Dolecheck, M. & Dolecheck, C. (2007). Business Ethics: A Comparison of Attitudes of Managers in Hong Kong and the United States. Hong Kong Manager. 1, 28-43. Hofstede, G. (2003). National Cultures in Four Dimensions: A Research-based Theory of Cultural Differences among Nations. International Studies of Management & Organizations. 13 (1-2), 46-74. Serwinek, P.J. (2002). Demographic and Related Differences in Ethical Views Among Small Businesses. Journal of Business Ethics, 11, 555-566.